This package contains everything necessary* to provide individual stereo mixes and multi-track recording for eight people. Using up to 16 local inputs from myMix- and 16 from an IEX16L-A input expander, there are 32 audio channels to select from. 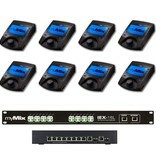 All devices get connected with a CAT5* cable to the Power8 switch, connect your audio inputs (analog or digital) to the IEX16L-A and/or myMix and start. 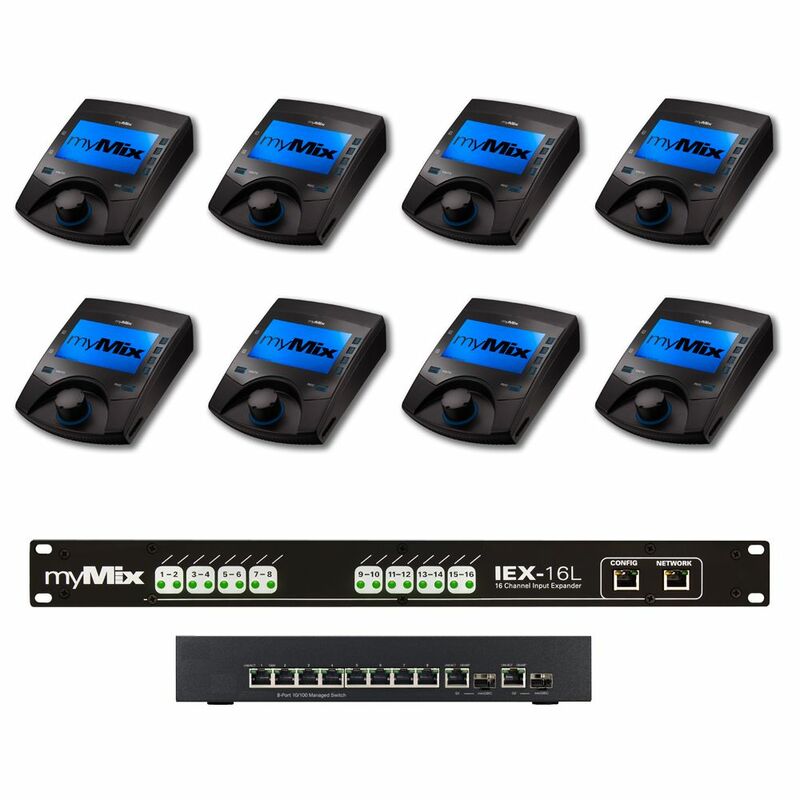 The Power8 switch allows you to easily expand the system; one extra port for myMix Control, or an additional IEX16; the GB uplink port allows connection to other switches (e.g. a second Power8, a Power12 or Multi8) - all plug and play. *CAT5 and ADAT/audio input cables are not included in the package.